Take a minute to look at the wonderful things we have been doing. 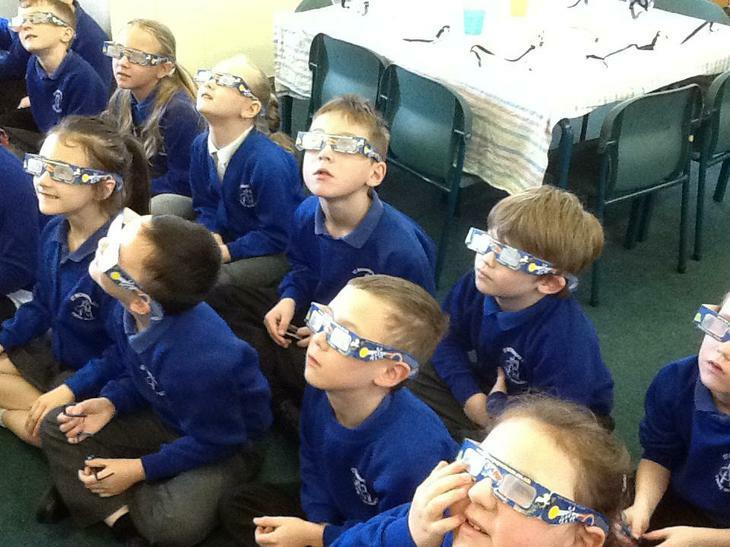 Year 2 were visited by the Wilson Gallery from Cheltenham. The children were able to handle artefacts from the past, try on clothes and learn about the life of Edward Wilson and his journey to the South Pole with Captain Scott. In Science we have been learning about food chains. We researched and made an Antarctic food chain. 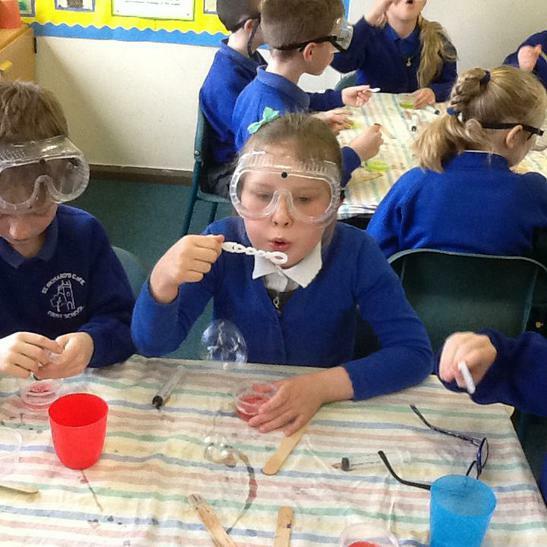 Below are some of the exciting activities the children of Year 2 have experienced! The firefighters set fire to Puddling Lane bakery! We looked at the equipment that firefighters use. Our Great fire of London houses. The fire started in the bakery! Look how easily the fire spread. We have been looking at preventing and minimising harm to our environment. We have also explored how litter and household waste can be recycled. Year 2 went out to investigate our school grounds to see how eco friendly our environment was. We were pleased to find out how clean our grounds were, although we did find some litter which we disposed of appropriately. 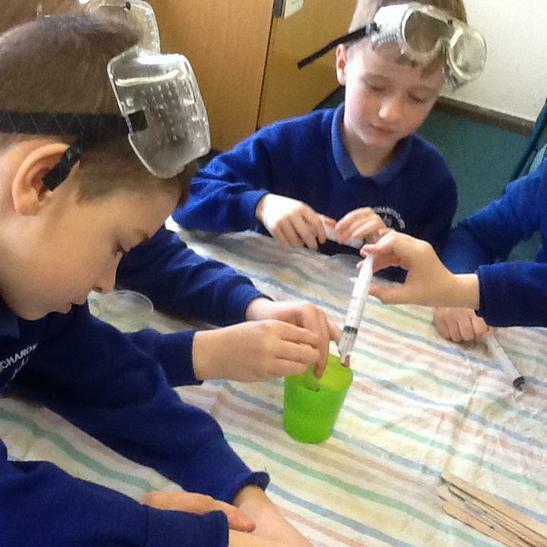 Four children and Mrs Lythgoe attended a cluster event at Badsey on Tuesday 1st May. The children were engaged in maths problem solving activities on the theme of pirates. The children were mixed up with peers from other schools in our cluster and had to collaborate together to use their maths skills to solve the problems. The children who attended were a credit to the school and had great fun! In Science we have been talking about food chains. We researched and created an Antarctic food chain. 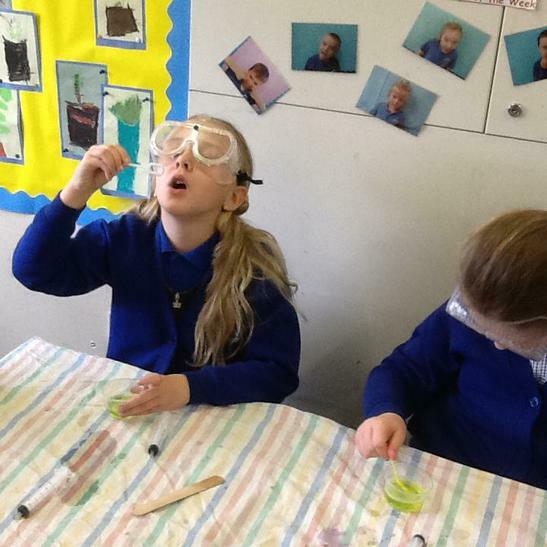 Bubble Fun during Science Week! All Stars Cricket is a new initiative from the England and Wales Cricket Board aimed at providing children aged five to eight with a great first experience in cricket. We had lots of fun when they came to see us on the 28th February 2018.